The uprising method of Emam Hussain (MGBPWH) was quite different as he had used to exploit every available opportunity to recruit troops and send them to front. One of these numerous occasions was a meeting with Zaheer Bin Qeen in his residence. Because, since the beginning Zaheer was reluctant to face Emam and after meeting he joined Emam, created epic in Ashura and was martyred heroically. We should learn the lesson of bravery ad manliness from Emam who taught us how to live in freedom. Since the outset of uprising, all poets and philosophers have been talking on Hussain uprising and would continue until the dawn of resurrection. Ali a resident of Kabul said, uprising of Hussain has deep and long roots in history. Even if we talk about it every moment, it would be insufficient. Hussain innocent followers and colleagues had never accepted meanness as His great grandfather Prophet (PBUH) had never bowed to humility and inferiority. Since the dynasty of Prophet (PBUH) was the location of Angels, therefore, the bless of Allah has been revealed to them forever. Despite of our intensive description of this holy dynasty, our pen and tongue fail to explain the content and meaning of uprising of champion of Karballa, the leader of martyrs.So we should realize the meaning of Great Emam uprising and laud it so to be solvated. In a conversation with The Kabul Times reporter and talking on the celebration of month of Muharram and 10th of this holy month, Hujjatul lslamWal Muslimin Sayed Mohammad Ali Shah Sadr said, the best way of Muharram celebration is that we should not disturb people with hue and cry of our loudspeakers and the breast beating groups should not gather on the roads and create traffic jam or disturb regular movement of vehicles. The Muharram days are not only for tear shedding but is for realization of contents of Emam uprising and conveying the message of Ashura day to the world people.With advent of Muharram days, the world muslims gain a particular position to launch extensive religious propagations and foil vain efforts and plots of enemies. In these mourning days of Ashura, the world muslims should maximamlly use every even slight opportunity but these mourning should not be controversial and not to be abused. Celebration of Ashura days and Karbala martyrs not only depends to Shiiats but we have always been witnessing participation of hundreds Sunnitmuslim brothers in mourning ceremonies in Kabul and other provinces, he added. If our historians had realized the nature of Ashura day, they would had not considered mourning unusual. 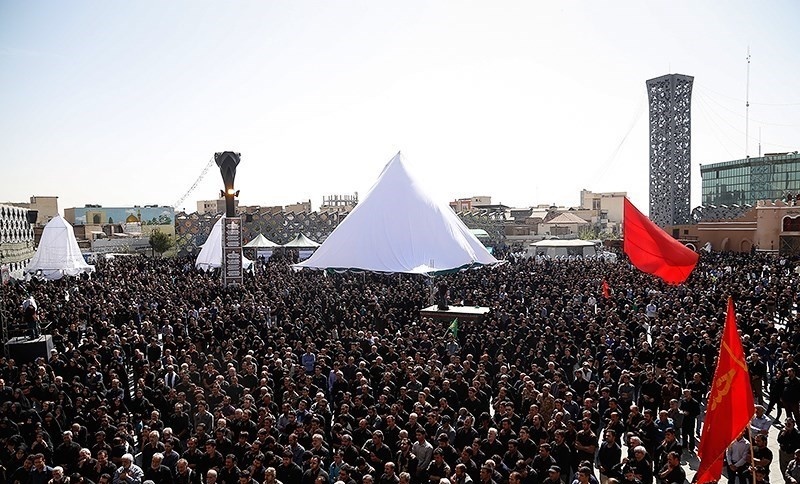 Mourning of Hussain followers means that they don’t accept meanness, inferiority, colonialism, exploitation because the slogan of Emam was not to subjugate to oppression and tyranny. Hussainsacrified his life, family and properties for dignity, and honor of people and Islam and was not submitted to Yezid tyranny and adventures. So let’s consider his method a example, rescue ourself from oppression of aliens and Yezidis of our time and prefer dignified death to objected life.